The good news is that upgrading to OS X Snow Leopard is going to be pretty cheap for people who wisely sprung cash for Leopard. But before you buy, you better check your situation and plan the right move, money-wise. You may have a few questions: Am I eligible for a cheap upgrade? How about a "free" upgrade? What's this about family packs? Should I be shopping for a new Mac? Not to worry, Prof. Dealzmodo will help clear things up. Upgrading from Leopard is the easiest: $29. If you own multiple Macs, a Family pack is just $20 more: $49 for 5 users. Keep in mind, though, that Snow Leopard does not have any activation restrictions, so buying a Family Pack for two or three computers is kind of a waste of money (though using a single-Mac disc on multiple machines is technically illegal). Just remember, if you need tech support on any of your multiple machines during the 90 days that you are covered after buying the OS, you'll have to have a legit software license. 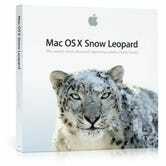 If you bought a Mac anytime after June 8, you get Snow Leopard even cheaper with the "Up-To-Date" program: $10. Sure, it's not "free" like Windows 7, but Apple sends you the install disc, and says that the $10 mostly goes to shipping and handling. 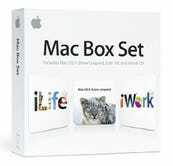 For Tiger users with an Intel-based Mac, the Mac Box Set includes Mac OS X Snow Leopard, iLife '09 and iWork '09 and will be available for a suggested price of $169 (US) and a Family Pack is available for a suggested price of $229 (US). If you are an Intel Mac user running OS X 10.5 or above (Leopard), then there is no reason why you shouldn't take advantage of such an inexpensive upgrade to Snow Leopard. However, OS X 10.4 (Tiger) users will be forced to pick up one of the much pricier boxed sets that bundle Snow Leopard, iLife and iWork if they want to make the jump. iWork '09 is about $55 on Amazon, so you're getting something for your money, but it may not be what you want. If you fall into this latter category, I would say it might be time to start looking into a new Mac with Snow Leopard and iLife '09 pre-installed, rather than putting an additional $169 into a dated machine. This is especially true if you are are still running a PowerPC, which can't be upgraded at all. UPDATE: As Mossberg and others have noted, Tiger users with Intel processors can buy the $29 disc and upgrade to Snow Leopard without buying the Box Set or having to install Leopard first. However, Mossberg and others failed to point out that this is a breach of the license agreement. We obviously want you to know what's possible, but also what might fall into a legal gray area. The ultimate decision is yours. 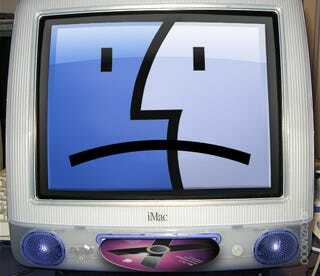 From time to time, Apple abandons users of dated machines and OSes—the rationale is that it keeps them from having the heavily layered code that Windows is always criticized for. Still, if you're the guy running Tiger on an old PPC machine, you're definitely feeling like a second-rate citizen in the Apple-verse. It's time to move up... or move on. Of course, dropping over $1000 on a MacBook might not be in the cards for everyone right now (although a Mac Mini is a relatively affordable way to get your foot in the door at $600), but it is important to consider that Apple's Up-To-Date Program offers a Snow Leopard upgrade for $10 on purchases that include qualified refurbished systems. I've said it before and I'll say it again—buying refurbished is the smarter move.